Love fishing, but could do without the motion in the ocean? If you’re prone to seasickness, you’re probably familiar with the common symptoms: headaches, dizziness, nausea, vomiting and cold sweats. It’s no fun at all, and can ruin an otherwise great day out on the water. So why do you get seasickness in the first place? Like other types of motion sickness, it’s essentially a mismatch in information received from your eyes and inner ears, with the eyes telling the brain you aren’t moving, while the inner ears insist that you are. The result of this disconnect? Seasickness. When you’re sleep-deprived and exhausted, you’re more prone to seasickness, so rest up before that fishing trip! Don’t languish below decks. Go outside and focus your eyes on the horizon, which helps synchronize the information coming from your eyes and your inner ears. A variety of drugs, like over-the-counter antihistamines or prescription-only scopolamines, counter the effects of motion sickness. Talk to your physician about the right one for you. Ginger is a traditional remedy for minor seasickness symptoms. Try a ginger candy, cookie or supplement if your symptoms aren’t too severe. 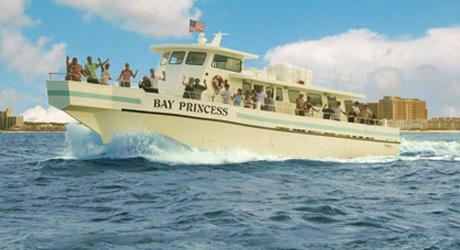 Now that you know how to prevent seasickness, it’s time to get on the water and start fishing! Visit Dockside Seafood Fishing in Virginia Beach for a fun day of fishing. The best part? We prepare your catch for you at our restaurant. What Food Should I Pack for my Fishing Trip?